Departing Arsenal boss Arsene Wenger believes that his finest work in the north-Londoners’ technical area came at the Emirates rather than during his formative days at Highbury, where he masterminded ground-breaking exploits including three Premier League titles and arguably the most formidable English top-flight outfit of all time, ‘Les Invincibles’. After 22 years of calculated, distinguished service, Wenger, prior his last game as manager against Huddersfield Town on Sunday, gave his final press conference at the club’s London Colney-based training facility on Thursday, an emotional affair where the esteemed French tactician expressed his sincerest opinions and sentiments to the media. The Emirates opened for business in 2006 with the intention of ushering in a trophy-laden golden age, but contrary to the glittering successes claimed before the state-of-the-art arena’s installation, 9 baron, fruitless years plagued ‘Le Prof’ and the Gunners, with many an irked ‘Gooner’ calling for his head to roll as punishment for his desolate shortcomings. Funding the venue sapped the club of virtually every available financial resource, a reality which supposedly strangled Wenger’s transfer kitty for a number of seasons, but the hardship of operating on a frayed shoestring didn’t suppress the savvy commander’s ability to shepherd his men towards an admirable finish within the top 4, right up until the 2016-17 campaign and the current, of course. “To accept to commit to five years when you build the stadium and to work with restricted resources and keep the club in a position where we can pay our debts back. 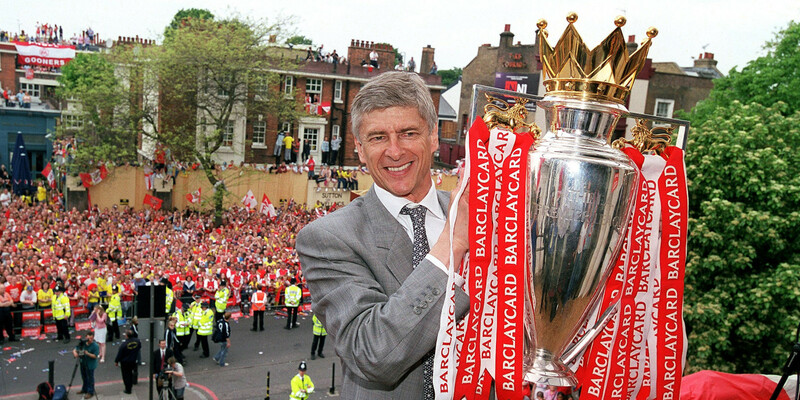 Share the post "Post-Highbury years warranted Arsene Wenger’s finest work"